Citizens protesting the sale of public land in Arboledas del Sur, Guadalajara, were released yesterday. ELAW Fellow Damaris Santanta returned to Guadalajara on Saturday and immediately returned to the front lines, defending urban forests and indigenous rights with the legal team at Instituto de Derecho Ambiental (IDEA). 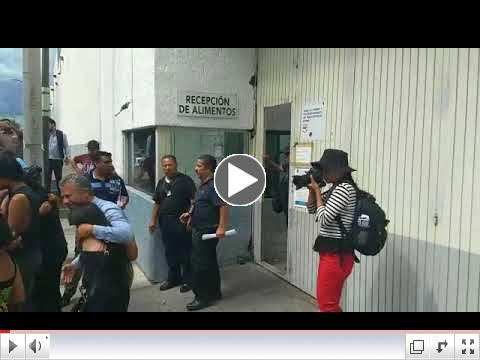 Damaris wrote yesterday that nine community members were arrested while protesting the sale of public forest in Arboledas del Sur to a real estate developer. The urban forest is the traditional land of indigenous peoples of Santa María Tequepexpan. Many students participated in the protest. Fortunately, the arrested citizens were released soon after their arrest. "Activists and public interest lawyers who defend urban forests and public spaces cannot be treated as criminals," says Dr. Raquel Gutiérrez Najera, Executive Director of IDEA. "We fight social injustice and defend the natural resources that make life on earth possible. Stop criminalizing those who defend the public interest!" Guadalajara, the cultural center of western Mexico, is the nation's second largest city after Mexico City. Green spaces in the greater metropolitan area (pop. 5+ million) are under siege from developers seeking land for shopping malls, hotels, apartment complexes, parking lots, and more. "Parks are key to sustainable cities," says Damaris, who leads IDEA's Parks Network project. "As residents succeed in their fight for public space, our movement has grown. We are now working with communities to protect 16 parks." Damaris has spent her life in Guadalajara. Her team launched "Caravan of the Parks," a campaign to help neighborhoods raise awareness about the value of their green spaces. These educational events, held in the parks, feature games for children, tree plantings, volunteer clean up, guest experts, and information for community members about rights to public spaces and how to participate in decision making processes. "Parks provide more than recreation and social well-being," says Damaris. "Green spaces purify water and air, reduce wind and noise, provide wildlife habitat, and serve as a carbon sink to protect the climate."